4oz. (125ml.) 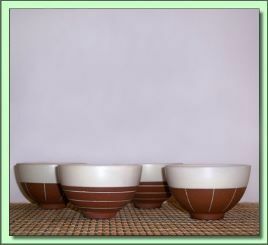 Impressive 4 bisque tea cup set with Japanese linear design and white rims.